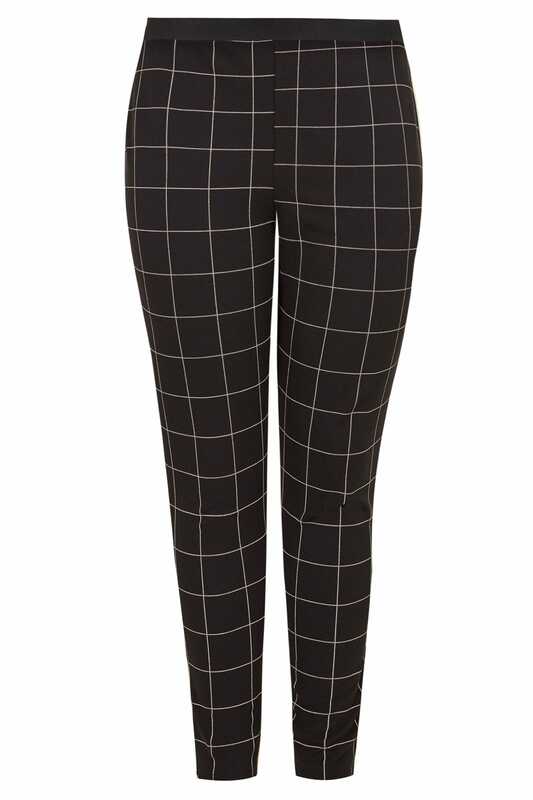 Inner leg length from (approx): 70cm/28"
Channel monochrome chic at work with these check trousers. 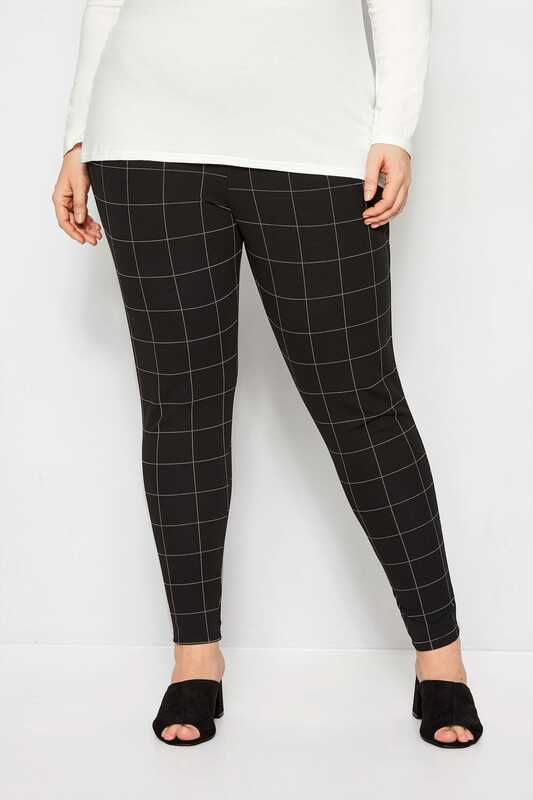 Made from a comfortable jersey fabric, they feature an elasticated waistband and a tapered leg style. 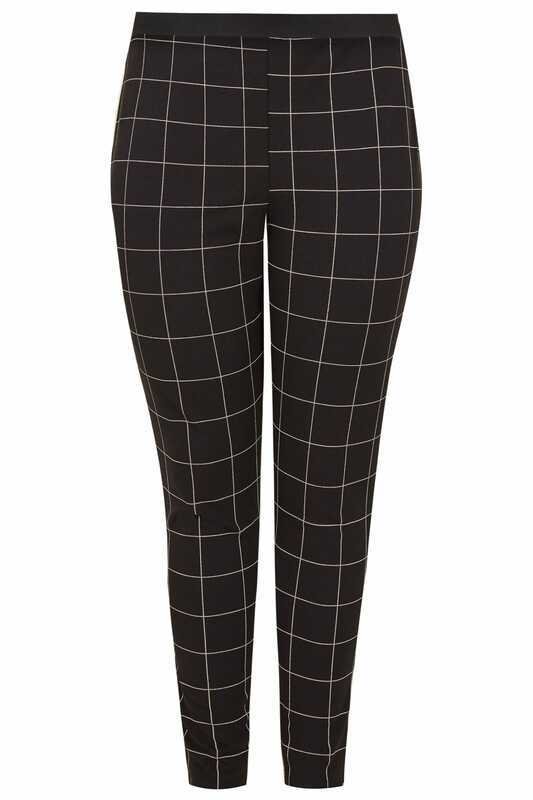 An office staple, team them with a colour block top and ankle boots to complete the look. They're sure to elevate your nine-to-five.